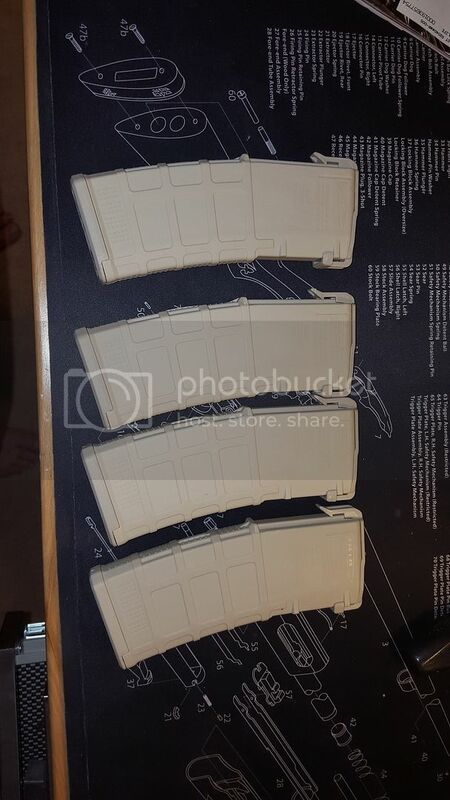 I'll do a write up soon but this is the new sand colored mags and Rit dye, tryed a few different methods. 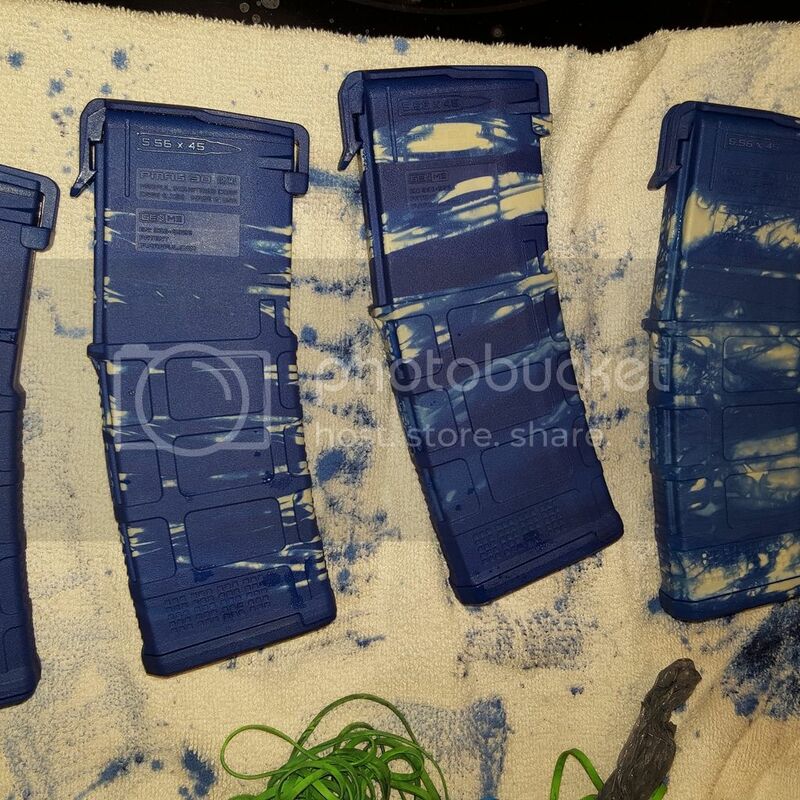 I've used Rit dye on mags before, works perfect. So black it looks blue. Cyberfly wrote: So tactical it looks blue. 2. Teflon tape wrapped in a spiral pattern. Heat water to just under boiling and dye in lager pot (no picture of pot). 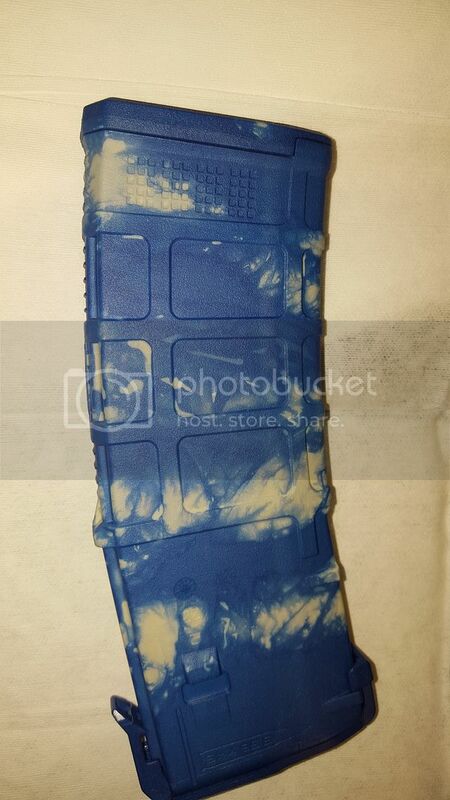 Time in dye will vary the more dye and time will make it darker. 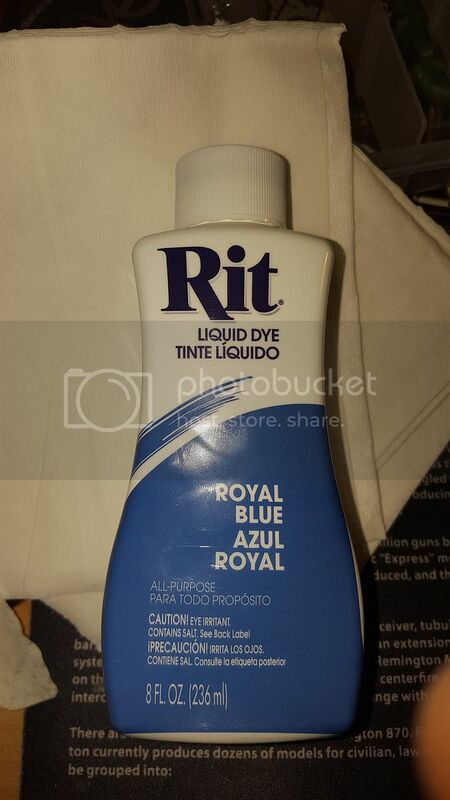 Remove from dye. 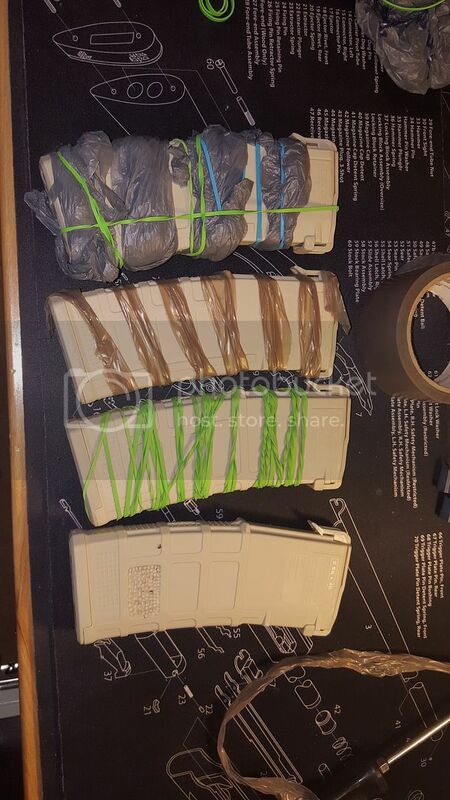 Remove rubber bands and such and rinse, from left to right : just dye, rubber bands, tape, plastic bags. 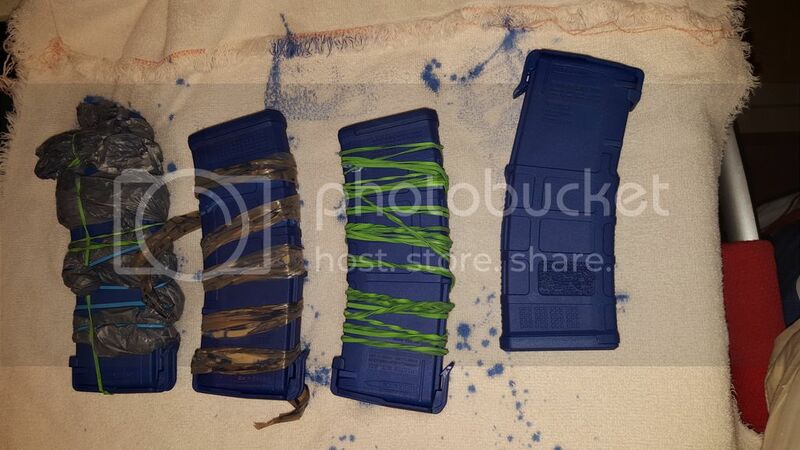 I used nearly boiling water and some salt to dye my mags, then I rinsed them in cold water afterwards to seal them up.